I am a big believer in following other people and companies that show success in an area I want to be successful. When I work with clients, both individuals and companies I often will refer to examples of those getting results and thus this article will show you examples of companies ROI. HUBSPOT – is one of my favorite companies. They provide tracking software to measure your online business activities as well as an all in one platform for email marketing, lead generation and social media. They have used LinkedIn’s Sponsored Stories to generate quality leads. 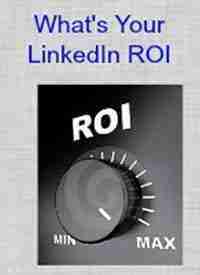 READ THE DETAILS about how LinkedIn Case Studies Show ROI. How do you measure the return on your investment of time and money? Do you have a success story to share? 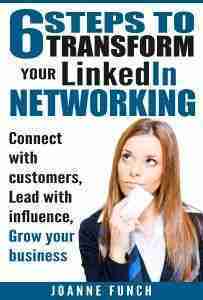 If not, we can help you implement the skill of utilizing LinkedIn Case Studies Show ROI. Gain our guidance on showcasing your LinkedIn Business. Time and expereience along with good record keeping proves how engagement on LinkedIn can act as a valuable channel for insights and to earn more revenue. The equation is simple we use for LinkedIn case studies is – Return/Investment, Return = (Earnings – Expenses). Call us to learn more about our customers’ marketing case studies to see how their success on LinkedIn can be yours. When working with LinkedIn clients, both individuals and companies, I will show you examples of companies ROI.